I woke up on my 41st birthday in my beautiful one-bedroom flat in North London. 'How on earth did I end up here,' I asked, as tears dripped onto my pyjamas. I had a gorgeous home, a large circle of friends, a hectic social life, money in the bank and an impressive CV. But I felt empty and alone. There was no partner to bring me breakfast in bed and no patter of tiny feet. I had worked hard. I'd done as I was told. But what had I been striving for? There had to be more to life than this. I worked for years as a news correspondent for Reuters, first in Brazil and later in London, in the Houses of Parliament. I had an office beneath Big Ben and went to news conferences and cocktail parties in Downing Street. I had one of those dream jobs - only my dreams had changed. I used to switch on my computer at work and feel the light in my soul go out. I was no longer interested in this career I'd worked so hard for. I turned freelance but I was still working too hard, chasing money and accolades, feeling the need to prove my worth over and over again. When it came to love, I kept hitting a brick wall. Every man I fancied turned out to be unavailable in some way or I couldn't bring myself to fancy those who wanted to commit to me. Where was I going wrong? I went to therapy and gradually began to unpick my relationship patterns, which were pretty dysfunctional. I began to understand that I was scared of love and relationship and had been doing my best to push men away. My high-flying job and constant activity were some of the obstacles I used to keep love at bay. It took me a few years to unpack my baggage, change my relationship patterns, overcome my fear of commitment and fall in love with my partner to whom I'm now engaged. 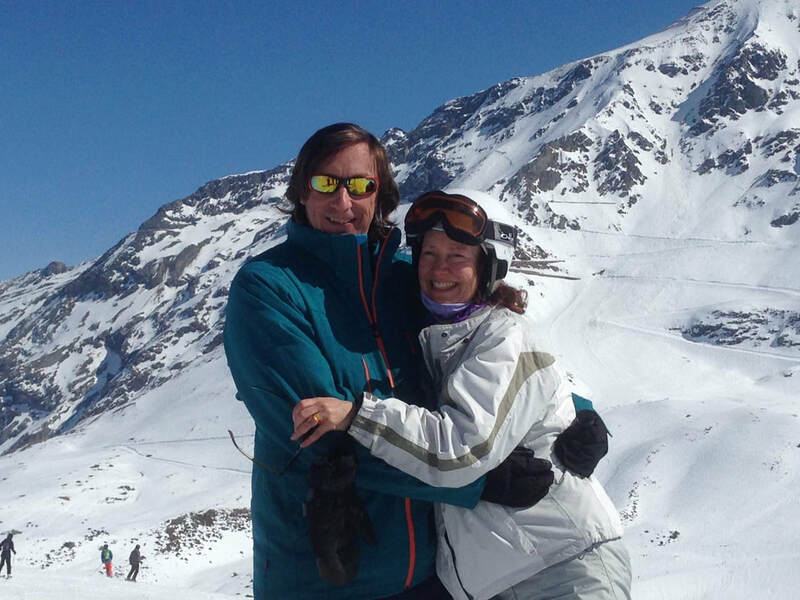 He proposed in March, 2017, in the French Alps, just a week after my book, How to Fall in Love, came out in paperback. Over those years, I learned so much about functional and dysfunctional relationships. I studied psychotherapy and counselling. I had lots of therapy. I recovered from an eating disorder, codependency, love addiction and love avoidance. I know my experience can benefit others. It also took me a few years to find the courage to leave my London life and follow my heart to the Dorset coast. I can't believe it took me so long to get here. My soul and spirit were designed to live at the seaside. I walk on the beach, swim in the sea, paddle board, cycle through the countryside, jog along the sand and soothe myself with the sound of the waves. It's incredible. I believe that whatever we have been through, we can find purpose in our pain. My journey to love and to a life of peace and contentment (most of the time!) has been a circuitous and often painful one, but I have learned so much. I'd now love to help you find love, peace and joy. It would be a pleasure and a privilege to walk alongside you as you create a beautiful relationship and/or a life of your dreams. I am the author of How to Fall in Love - A 10-Step Journey to the Heart and the creator of the How to Fall in Love course and retreat. I lead workshops and speak to audiences. I've been on a personal development journey for 15 years, during which time I've recovered from dysfunctional relationship patterns, with myself and others, and from self-defeating behaviours including an eating disorder, binge drinking and compulsive work. I believe my biggest life achievement to date is learning to fall in love, both with myself and with my partner, and maintaining a healthy, loving relationship, despite my frequent desire to self-sabotage. My ongoing, stable, committed relationship is, I believe, my most important credential. I have been mentoring others through their recovery from dysfunctional relationship patterns and into fulfilling relationships with themselves and others for many years. I am a compassionate, empathetic and intuitive coach. I'm also incredibly proud that I followed my heart out of London to live by the sea and I'm passionate about inspiring others to follow their dreams. I swim or play in the waves off the coast of Poole in Dorset as often as I can. I have a diploma in counselling and psychotherapy skills from the Westminster Pastoral Assocation, a Modern Languages degree from Oxford University and I am a graduate and fellow of the School for Social Entrepreneurs, where I developed a social enterprise based around authenticity and vulnerability. I also have more than 20 years of experience as a journalist, writer, speaker and professional communicator, with articles published in leading newspapers and magazines, appearances on national TV and radio and speaking engagements at events including the Women of the World festival at London's Southbank Centre and The Inspire'd Stage in Mayfair. I have lectured in journalism, employability and emotional intelligence at Bournemouth University and I speak in schools on wellbeing, resilience, managing stress and avoiding self-harm. I am trained in the Packtypes® self-awareness system and use this simple, engaging, interactive tool, alongside other tools, in workshops and in one-to-one coaching. I'm based in Poole but frequently work in London as well as nationally and internationally via videolink.